Die Flaschenpost Insel is a German feature film production based in Wiesbaden. This movie, directed by Toni Kurtin and produced by Corinna van Eijk, is about an adopted girl who receives an old album with photos of her biological parents as a birthday present that leads her on a journey of discovery to her own roots. Essentially, it’s a drama with comedic elements and a naturalistic feel – which the dialogue, ambiences, and SFX all had to match. The second project I worked on is a short film called Golden Record. It was directed by Klaus Merkel with Artur Ortlieb as director of cinematography and Larissa Bonitz as production designer, and it was produced by the Film Academy Baden-Württemberg. In this sci-fi utopia, the main character is the last human survivor. The Earth has become a dry, dying place, and it’s in this hostile world that we meet out character Nova, a survivalist at war with all the machines that now rule Earth. On one of her forays, she not only gets hold of some water but also stumbles across the Voyager Golden Record from the eponymous unmanned spacecraft. The contents of this golden record trigger a strong emotional reaction in her that – miraculously – produces rain, a symbol of life and hope. 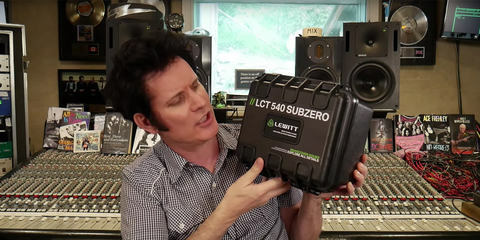 In both projects, I made extensive use of the LCT 540 S. It’s a great Foley mic that’s made me want to use it all the time. The results it gives me are impressive: it has a clear, rich sound combined with an extremely low noise floor and incredible versatility, thanks to which it stands out from far more expensive alternatives. I even got the chance to use a stereo pair to record stereo ambiences! 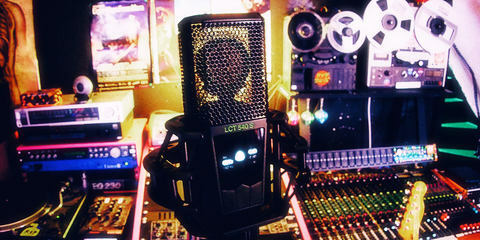 The ambiences recorded with these mics in an ORTF array sound rich, vivid, and super-clean. 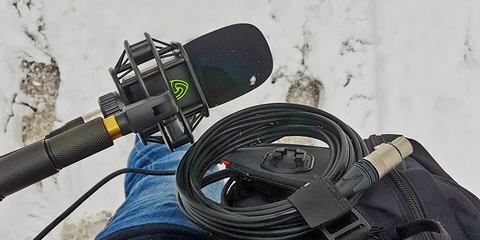 And I now feel even more strongly that this microphone will end up being a true game-changer for sound designers as well as for those who do field and location recording. In contrast to my first field recording diary, which I wrote while recording pristine natural ambiences, this second part will be more about urban and suburban environments. These environments are basically characterized as lo-fi. In a lo-fi soundscape, specific individual signals are obscured within an overly dense sound population that can be described as a wall of blurred-together sounds that are dominant and always present. As a result, spatial image, definition, and perspective get lost within a few meters’ distance from the source, thereby melting into that typical diffuse city background rumble. These environments are often described as busy or noisy, with lots of everyday sounds cutting through here and there. It’s actually a red flag as to how large parts of our sonic habitats in urban areas consist of background noise with so much constant low-frequency energy. This could be associated with elevated stress levels in the population, resulting in various health issues. The acoustic ecology movement seeks to raise awareness of how much noise we expose ourselves to on a daily basis. We paradoxically tend to no longer notice this, since we’ve become accustomed to passive listening because of our environment and modern-day listening habits. In this context, field recording offers the opportunity to better perceive your acoustic environment and to rediscover an active form of listening. So grab your mics, everyone, and go out and record your surroundings! It’s really fun and helps you sharpen your sense of hearing. First, I’ll write about my involvement in the feature film Die Flaschenpost Insel. I was called in pretty late in this project’s production cycle. I had literately two weeks to record all the surround-ambiences and the Foley sounds as well as to provide support in the form of hard effects from my personal library. And then the whole thing had to be mixed and delivered as a surround mix for cinemas in about one week. Which all means that I was in a rush to make it happen. Normally there are extensive prop lists, spotting sessions, and cue-lists involved. Since that wasn’t possible within this timeframe, what I did was to mark all of the scenes with markers and use empty midi regions for all relevant sound cues and write down a rough prop list on the fly. That way, it only took me about 30 hours to get through 90 minutes of film. This is a perfect example of a quick-and-dirty workflow for one-man shows in indie film productions. While you don’t really need more, having at least this organizational structure is essential in order to keep the production on track. Luckily for me, the whole film was shot in Wiesbaden, a nearby city where used to I live a couple years ago. So I knew pretty much all of the locations where the various scenes were filmed. I made notes on the specific locations, times of day, weather, and specific events within the scenes. 1) The more traditional approach of recording “real” ambiences and altering their tonal and sonic qualities with processing tools like EQ, reverb, and various modulation-based multi-effects. One example of an ambience created with this method of decomposition and reconstruction is what I would call the “outer world layer.” I decided to synthesize sounds that would somehow give the impression of machines “living and moving” in the distance. Next, I used a pretty extreme reverb to enhance the feeling of distance. I then added vocoded sounds to simulate a sort of machine language or communication. And I also added servo sounds sampled out of a juicer and other items with small motors on a third layer, to which I applied lots of modulation effects. Finally, I added a pretty wide reverb on top. 2) Building an artificial soundscape with synthesized sounds as well as using specific sounds that have been recorded „dry“ (isolated from their natural environment) and rebuild the ambience from scratch using the method of decomposition and reconstruction. These synthetic layers were mixed with room tones I’d recorded with the LCT 540 S pair. The sound of Nova’s Hideout consists of two layers. For the first one, my friends at the 50 Grad Club in Mainz let me record a bit of room tone during the day where it’s closed and pretty much silent. It’s located at the center of town, underground beneath the Landesmuseum Mainz. The rooms have the right shape and an industrial look with all the heating pipes hanging from the ceiling. And straight away, they gave me the right feel for the sound I was after. You can hear a subtle buzz from the machine room and the fridges as well as lots of traffic noise from the streets at the ground level. I cut out the high frequencies and enhanced the heavy, industrial-sounding parts so that it would sound like strange machines moving outside in the distance. This lent the ambience a vivid quality. The LCT 540 S pair once again impressed me with its superb spatial image and a sort of 3D-quality that lets listeners really immerse themselves in the room. They can capture all these subtle sounds happening in quiet ambiences, what is perfect if you really want to bring those places to life. 3) Layering different ambiences to enrich the sound or to change the sound to fit the context in which it’s being used onscreen. As shown in points 1) and 2), the background sound for Nova’s hideout was made up of several ambience layers consisting of room tone, the industrial hall ambience, and that synthesized “outer world” ambience. Together, this resulted in a rich and vivid audible background that brings this scene to life. For the scene in the machine supply outpost, I recorded the ambience of the theatre workshop in Mainz and layered it with several computer room tones and machinery ambience layers. My recording work at the theatre workshop could only be done during regular working hours. Therefore, a lot of noises, fans, etc. were present. But a busy ambience like this is the perfect ground layer for the machine room in that scene, with lots of working computers and other devices. Taken as a whole, the background ambience represents an inhuman, noisy, and technocratic environment. That was pretty much what I wanted for this scene. At the very end, when the rainfall begins, I did a weather buildup to the point where a heavy splash rain sets in. To achieve this, I layered two wind ambiences from my Herbstwald Library and added three rain ambiences that start one after the other, building up the intensity. For these recordings, I’d needed to build a transparent-sounding rain cover. This can be quite tricky because you’ll have rumbling and plopping sounds from the raindrops hitting the windshield. Unfortunately, there aren’t any good-sounding commercial rain covers out there. So I needed to go DIY. Getting these sounds from other libraries can be problematic, too, because more often than not you can hear that the rain has been recorded out of a window or under a bridge or other structure. When the raindrops hit a hard surface like concrete, you can always hear the reverberation or the perspective, which can kill the illusion onscreen if you want an open-sounding, dense rain sound to give the scene a larger-than-life attitude. In the picture, you can see the second iteration of the self-developed rain shield that I used for this project. It gave me good-sounding results but turned out to be a bit heavy for easy setup in the field. My latest iteration is much lighter, but I need to do more testing before I can go public with it. A lot of you folks will probably be asking yourself what Foley actually is. In a nutshell: Foley sounds, as opposed to hard effects or wild tracks, are always performed in sync with the picture. Foley artists will perform footsteps, cloth sounds, and motion sounds as well as handling sounds for various objects used by the characters on screen. These sounds are recorded in mono and live in an acoustically controlled environment – the Foley stage – on the center channel beneath the dialogue. This is necessary because, on set, you only want to record the dialogue as cleanly as possible. Differing approaches to this have been developed in different countries. In the US, the craft is named after Jack Foley who worked at Universal and was one of the first ones to add sounds to picture in the 1930s. In France, these people are called bruiteurs, and in Germany they’re Geräuschemacher. Although Foley artists are highly specialized professionals, basically anyone can learn it. A good tip is to practice to your favorite feature films, documentaries, short films, etc. I would encourage every sound designer to try out that naturalistic approach and record organic sounds in sync with the animation/picture. It will help you think about the character: What age or gender is the character? In what mood is he/she? The phasing of a character’s movement can give an indication of whether he or she is fit or has a disability. Do you see a heavy and determined gait like a soldier, or is it very light and playful like a child’s? One thing to add here is that small female Foley actors are perfectly capable of walking and sounding like big guys. One Foley artist can even walk several people at a time – and for specific chase scenes, you can always do overdubs. In the next clip, you can hear me sounding like three soldiers patrolling with a guard dog as an example. It’s the acting and wearing the right shoes that are crucial, not the actor’s actual weight or gender. Choosing shoes that fit the character can be really fun. The most important aspect here is to “look” with your ears and not with your eyes. The “right look” or “type” of shoes is completely irrelevant as long as it sounds right. The same goes for specific objects. The recorded prop really only needs to sound like the object appearing on the screen – it doesn’t need to literately be that exact same object. Another important aspect is the material underfoot. Usually, you’ll have various boxes with different (sometimes mixed) materials in them like gravel, debris or sand, etc. One particular material that might surprise you is Foley grass – which I used on Die Flaschenpost Insel. It’s made out of different types of tape from old audiocassettes and VHS cassettes. It sounds just like real grass when you walk on it, but you can easily record it in a controlled environment. On the other hand, I also used gravel footsteps from my previously recorded “Herbstwald, Naturalistic Footsteps” library, which will be released one month after the “Herbstwald Naturalistic Ambiances” library. Another big thing was finding appropriate-sounding prop materials for the several Foley artists handling noise recordings of the everyday objects you see in the scenes like books, paper, plastic, tools, keys, etc. Doing a lot of research about the different prop materials and their acoustic properties is the key to getting this right. The question must always be: How can the look and feel of the object used in the scene be translated into the language of sound? Does it look new, or old and rusty? Might it sound heavy or light? Snappy, harsh, metallic, wooden, or dull? And what’s the listener’s expectation of this particular film genre? For both film projects, I needed to do a little bit of research on the sound textures of the specific props. For Nova’s cloth in Golden Record, I used feathers, Native American jewelry made of wooden materials and gemstones, and other objects. And for Die Flaschenpost Insel, I needed lots of different kinds of paper, plastic, and glass materials – plus various pens, everyday objects like cups, a lot of different shoe types, wooden objects, and also metallic-sounding props. For films with a naturalistic approach to sound design, using a clean-sounding mic is crucial. With its 371 grams, the LCT 540 S might be a bit too heavy for booming, but it does has a beautiful sound in interiors and rooms. This, along with its super-low self-noise, is a very big deal here. When recorded in a dry room, these recordings are so clean that you can bump up the gain of a specific region by up to 12 dB in your DAW without running into any noise issues – which is something you otherwise run into a lot when trying to enhance the impact or drama of certain movements or sounds. So this ability affords the sound designer new creative possibilities in postproduction. The polar pattern is characterized by smooth and natural-sounding off-axis rejection through all frequencies, resulting in an open sound with nice rear rejection – especially in diffuse sound fields. A big surprise was the very fast transient response for a 1" large-diaphragm condenser. I think that this is one of the factors behind the precision of this microphone’s sound image. Especially for SFX recording applications, it’s often advantageous if the mic doesn’t add any tone or transient coloration to the recording. Clean, precise, and noise-free output is crucial in a professional workflow that aims to get the best possible results inside the DAW later on. For the Foley and SFX recordings on Golden Record, I had a lot more artistic freedom. So I chose to go with a hyper-realistic sound design that would still somehow maintain a realistic feel in quiet scenes. On the other hand, some sounds were to be exaggerated to mirror the emotional impact on screen. And some sounds would simply be made up – after all, the story takes place in a sci-fi universe. The difficulty here was to reflect the artsy and stylized qualities of the picture on the level of sound. So the main question was: How do I come up with Sci-Fi sounds that don’t sound cheesy and also fit the screen aesthetics? Simply put, the approach I took was to synthesize sounds from scratch or record natural sounds, layering and deconstructing them to put them out of context. And in a second step, I applied lots of effect processors to make them even more unique and evocative. The Foley sounds consist of 4 layers – with the first being for the leather skirt, the second for the Native American feather headdress, the third for the Native American breastplate made of pieces of metal, and the fourth being reserved for Nova’s barefoot footsteps. 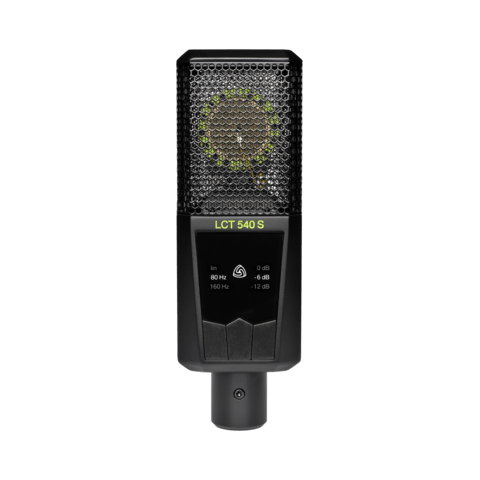 Again, the high resolution and great detail of the recordings made with the LCT 540 S gave the respective cloth materials a rich sound, including a certain depth that lent them a sonic tangibility of sorts. This really brought the cloth materials to life. Recording the right materials in a dry room with a high-quality mic adds excitement and immersion to a scene and is what separates an amateur film from a professional production. Two other Foley sounds that I want to talk about are the recordings for the opening of the metal box and the sounds for the noise that the character makes while rummaging inside that box. I guess I’m destroying the magic here, but the sounds for the opening and closing are basically a combination of opening/closing a wooden closet, my oven door, and my refrigerator door. With a bit of layering and EQing, it ended up sounding pretty convincing on screen. For the rummaging sounds, I put various props (seen the picture with the Foley pro collage) inside a box and made some noise with my hands trying to imitate the motions you see the character performing. Since there wasn’t any dialogue in this short movie, I’ll count the various vocal expression sounds as Foley. There was a female actor involved for the drinking, breathing, and exclamatory sounds. My thanks go out to Celina for that contribution – she did a great job! For the scene where Nova gets caught in the act by a guardian machine while plundering a machine’s supply output, I needed to design a pretty scary and impactful special effect to enhance the threatening and tense quality of that moment. What I ended up creating basically gives rise to the illusion that something like a guardian machine is flying by and trying to search inside the depot for suspicious activity using its sensors and headlights. I mainly used sounds that I recorded with a device for electromagnetic listening developed by Jonáš Gruska and based on a telephone pickup coil inductor. It’s one of the best-sounding pickup coil mics I’ve ever heard: its frequency extension, stereo image, and sensitivity are beautiful, and it’s been used in many sound libraries. I used several layers of these electromagnetic sounds like hum or buzz tones for the engine of the machine in different frequency ranges. And to simulate the Doppler effect when the machine approaches, comes close and passes by, I used a low-frequency impact sound at the closest position and lots of panning as well as some plugin automation. For the spotlights and the sonification of the scanning process, I used sounds that can be described as radio frequency interference noises and layered a sizzling electrical energy sound on top. To enhance the tension and introduce an element that foreshadows impending danger, I made a musical stinger special effect consisting of different layers of drone and synth sounds. For this, I used several hardware and software synths that go well with the ambience sounds. This way, it sounds like the stinger sound is emerging out of the background in a homogenous way as the danger arises for our character. That’s a nice trick that you can use to meld together a non-diegetic musical element with a diegetic one like the background ambience. Last but not least, I recorded several metal and glass impact sounds at the theater workshop in Mainz, as well as debris and destruction sounds recorded at the recycling center in Mainz. I used different mics in those sessions. In comparison, the LCT 540 S performed really well. Its high output made it somehow more sensitive to super-loud, transient-heavy stuff, but I got everything under control with ease by using its two-stage pad switch. The high dynamic range of that mic really paid off, here: compared to other mics, the sound is balanced, perhaps with a bit more high-end that sounds smooth but still natural. On the low-frequency side, the low-end extension is good with nice resolution in the low-mids. What I did in post after that session was to apply a bit of de-noising, since I was recording in an industrial hall and a loud workshop. Then I applied a little bass boost around 100 Hz and a tiny cut a bit above 12 kHz with a high shelf filter. After this cleaning, I began the actual creative sound design process. The director wanted this particular special effect to sound like a distant explosion that the character would hear from inside the supply post through a hole in the floor. So I applied a low-cut filter to simulate the high-frequency damping over the distance through the air, added a distant reverb, and mixed it with a second reverb to simulate a slapback echo resonating inside the room.